Libero Sports is a full service professional athlete representation and corporate consulting company serving the global football industry through its offices and experts located in emerging football markets throughout the world. Headquartered in Chicago, Libero Sports has main offices in Delhi NCR, India and Tokyo, Japan along with representatives based in Central America, Europe and Korea. What sets us apart in our understanding of the football industry is our work for all stakeholders in the game, from the players and coaches, to team owners, sponsors, investors, vendors and governing bodies gives us a complete understanding of the business side of football. In less than a decade we have organically grown our business and expertise into dozens of countries. As one of the leading agencies and solutions experts in football, Libero Sports has led the development of business through Asia and the Americas. We protect the rights and increase the market value of professional players and coaches. We connect top European and American clubs with stakeholders and corporates in emerging football markets to achieve meaningful and long-lasting development programs and partnerships. 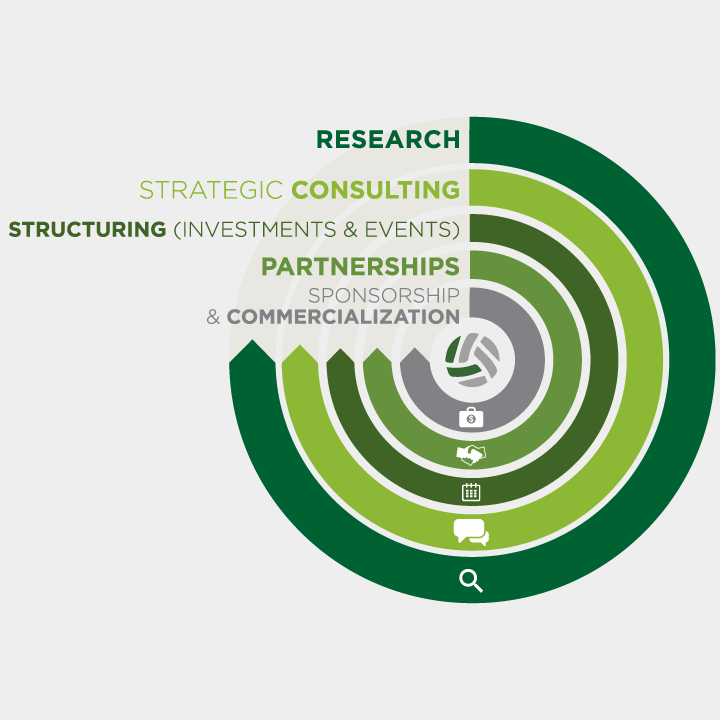 We provide strategic consulting services to organizations looking to establish or transform their football business. We are a worldwide full services representation agency with offices in Chicago, Tokyo and Delhi. Founded in 2006 by a collective with experience in coaching, financial services and law, we manage players and coaches at the top levels of the soccer pyramid. We exclusively represent over 100 players, 10 different nationalities, and have brokered over 75 player moves on behalf of clubs throughout the Americas, Asia and Europe - including MLS, J.League, K-League, I-League and the India Super League. We have secured hundreds of thousands of endorsement dollars for clients with local and national sponsorships – including Nike, adidas, Puma and Under Armour. 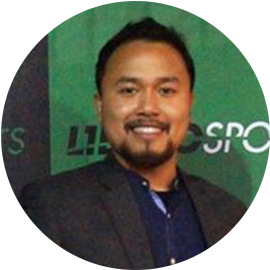 Arvind is a FIFA licensed players' agent and partner with Libero Sports. He has an extensive network across the football circle and has successfully negotiated and closed over one hundred transactions for footballers and coaches across various leagues in Asia. Narayan is a graduate of Indiana University’s Kelley School of Business and was a member of India’s U-20 National Team pool of players. 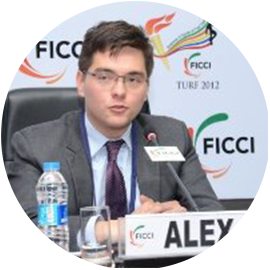 Alex Eu is an investor and operator of small businesses around the world. Alex was born in Singapore, and grew up between Hong Kong, Alaska and Singapore. He was a platoon sergeant in the Singapore military for 2 years before college. While attending Indiana University, Alex co-founded and helped lead the Asian operations of Libero Sports. After graduating from Indiana's Kelley School of Business, Alex spent time as an investment banking professional at Perella Weinberg working on a variety of restructuring and M&A projects including: the restructuring Hostess Brands, the sale of Juicy Couture and a minority sale of talent agency William Morris Endeavor (WME). Alex was most recently an investor at the Chernin Group, helping Peter Chernin (ex. Fox CEO / Newscorp COO) invest in and operate new media and sports companies. His experience there included various early stage investments, an attempted purchase of IMG, and the full acquisition & operation of Crunchyroll and Fullscreen. Alex has also been a founding member/backer of a Canadian electrical contractor and equipment fabricator, a software company in Chicago, a graphics design agency in India and a whisky restaurant in NYC. Ben is one of the founding partners of Libero Sports and is involved in Libero’s strategic consulting business. Outside of his work with Libero Sports, Ben works with individuals, endowments and foundations on creating customized asset allocation, financial and investment plans in his role with Madison Investment Advisors. Prior to joining Madison, Ben served from 2008-2012 as Director of Wealth Management Services at Reinhart, a Milwaukee-based Registered Investment Advisor. While at Reinhart, he ran the firm’s Wealth Management Investment Committee and helped to build its outside manager and alternative investment platforms. He also oversaw the creation and revision of all contracts and Investment Objective Statements for the firm’s wealth management clients. Ben was intimately involved in the development of Reinhart’s outsourced Chief Investment Officer offering. He has also helped implement this unique service structure at Madison Investment Advisors. Outsourced CIO services allow multigenerational family wealth owners to utilize all of Madison’s resources as a fiduciary investment manager to help coordinate asset allocation, investment structure and management, manager due diligence, investment policy work and client reporting free of conflicts of interest and in coordination with all of the client’s other advisors. Ben began his professional career in 2004 at U.S. Bancorp's Private Client Group in California. He was quickly elevated to serve as Managing Director of the Los Angeles/Orange County Personal Trust department, a business with approximately $500 million in assets under management, $4.5 million in annual revenues and 10 employees. He finished his time at U.S. Bank as Southwest Region Market Leader. In this position he oversaw all of the bank’s Personal Trust, Private Banking and Private Asset Management efforts in California, Arizona and Nevada, a $28 million revenue business with more than 60 employees. At U.S. Bank, he led efforts to build relationships with American professional soccer players and agents for the bank's Pro Sports Division. He also developed U.S. Bank's unique partnership with Southern California's Coast Soccer League (CSL), developing a comprehensive strategic plan to provide financial products and services tailored to competitive youth soccer clubs, players and families. Dickey completed his J.D. and M.B.A. degrees at the University of Wisconsin, where he also served as an assistant coach with the women's varsity soccer team. 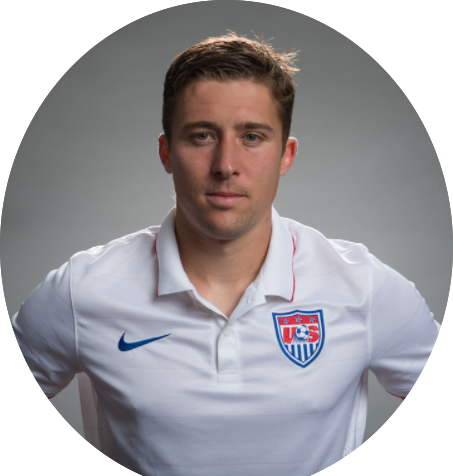 Ben holds USSF "B" and "Youth" licenses, as well as the NSCAA Advanced National Diploma. He received a Bachelor of Arts degree in Law, Letters and Society from The University of Chicago (with honors) in 1998. He was a four-year letter winner at Chicago, where the team reached the 1996 NCAA Division III Final Four. He currently serves as the President of Blackhawk Country Club in Shorewood Hills and on the Board of Directors and Executive Committee of the Wisconsin Chamber Orchestra. He and his wife Elizabeth and young daughter Vivian live in Waunakee, Wisconsin. He enjoys golf, skiing, travel, Wisconsin athletics, dining with his wife and family and spending time in Northern Wisconsin in winter and summer. Nula Kohringam is the Operations Manager, Libero Sports India. He is responsible for handling the Finances, Accounting and Human Resources of the company. In addition to this, he is also responsible for improving the business processes, Public Relations, working environment, strengthening client relationships and ensure successful continuance of business operations across various opportunities. Coming from the North East part of India, the football hotbed, his love for the game let him pursue a career in the football business. He has worked with Canara Bank as a Junior Management Officer Scale 1 supervising the cash and deposits department. Nula Kohringam completed his Bachelor of Science in physics from Patkai Christian College, Nagaland University. He then went on to complete his two year management course (PGDM) from one of India’s most prestigious B-Schools, Indian Institute of Management, Kozhikode (IIMK). 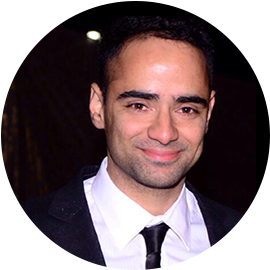 Sahil manages Libero Sports players based in India. He has a wide network within Indian football and is critical in Libero’s placement and talent identification within the country. Sahil has an impeccable knowledge of the Indian player market and also has experience managing top international players from the top leagues in Europe. Sahil has an MBA in marketing and international business, with an emphasis in computer science, from the University of Pune. While at University, Sahil was the captain of his college football team. Sahil strives to change the dynamics of how football is played and wants to focus on identifying and implementing processes that will move the game forward in India. YounSung specializes in the Korean market for Libero's player management division. He was born and hails from Seoul, Korea and spent time growing up in Los Angeles and Pennsylvania in the United States. 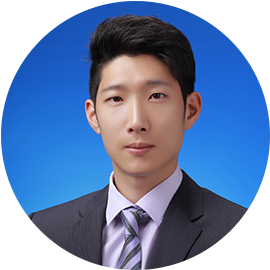 YounSung graduated from the Indiana University’s renowned Sports Marketing/Management program. Prior to joining Libero Sports, he spent time in marketing with FC Seoul and Incheon United, both in the K-League Classic league. Outside of his experience in football, YounSung was an intern with IBM Korea and the Korea Sports Promotion Foundation (KSPO). He served in the Korean military as a platoon sergeant, serving a two star general.